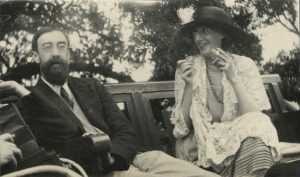 Maybe the biggest challenge in undertaking to edit a collection of essays on the Bloomsbury Group is how to avoid both retreading ground already stomped into a fine, clayey, muck and simply giving vent to an outright assault on the Group and its legacy. My own temperament tending decidedly toward the cheeky, and flush with a solid sense of the ways in which the Group is implicated in racist, imperialist, anti-Semitic, masculinist, and other discourses we now recognize for their perniciousness, I was inclined to be less than reverent toward them in our approach. As it happened, we did get some of that into the volume, along with the more biting critique the Group and even some of their boosters have indeed earned. But, I also learned a lot about the Group, and discovered a new appreciation of their achievements. Was there privilege? Yes, of course. Was there also commitment? Yes, absolutely. Did they sometimes sound silly, naïve, even blithely unaware of their own status? Sure they did. But they also articulated hope in a key that was, at the time, unsounded. With the guarantee of their own status backing them up, the “Bloomsberries” tried semi-seriously to think utopian thoughts. To celebrate friendship, affection, love, justice. They couldn’t always say what those words meant, but they at least committed themselves to trying. I see much of the same sort of sentiment in the halting utopianism of the millennial generation today. 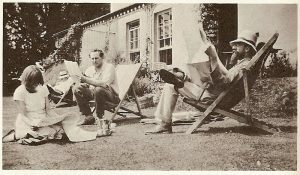 Faced with economic uncertainty, prospects of global war, looming environmental apocalypse, increasing xenophobia and nativism those all-too-often dismissed as mere “hipsters” are in fact charting something very much like what the Group tried to do a century ago. Aware of their privilege and yet inescapably aware also of the enormity of the challenges they are facing, millennials are doing the hard work of charting a path out of the waste land they’ve been bequeathed. I see them doing it through compassion, friendship, community, and love. They are doing it on a small scale, and with a healthy dose of irony: when the task is this big, it’s best to keep your sense of importance under control. My guess is that Lytton, Virginia, Clive, Vanessa, Duncan and the rest would happily crack a PBR, put on a vinyl classic, and mull over plans for an old-skool beach cookout with today’s young people. Lord knows they already had the beards for it. Stephen Ross is Professor of English at the University of Victoria, Canada. He is Past-President of the Modernist Studies Association (2015/16) and General Editor of The Routledge Encyclopedia of Modernism Online. 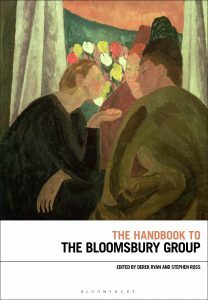 He is the co-editor, with Derek Ryan, of The Handbook to the Bloomsbury Group – now available from Bloomsbury.